Anime Ltd. Acquire Lupin the 3rd Part 5. Series will be simulcast on weekly to U.K. & Ireland on Crunchyroll. Later this year we’re going to be bringing a recent incarnation of a classic franchise to Blu-ray in the United Kingdom – that being Lupin the 3rd: The Italian Adventure (aka Lupin the 3rd Part IV) and we’re very excited for how that is shaping up, with details to follow soon. 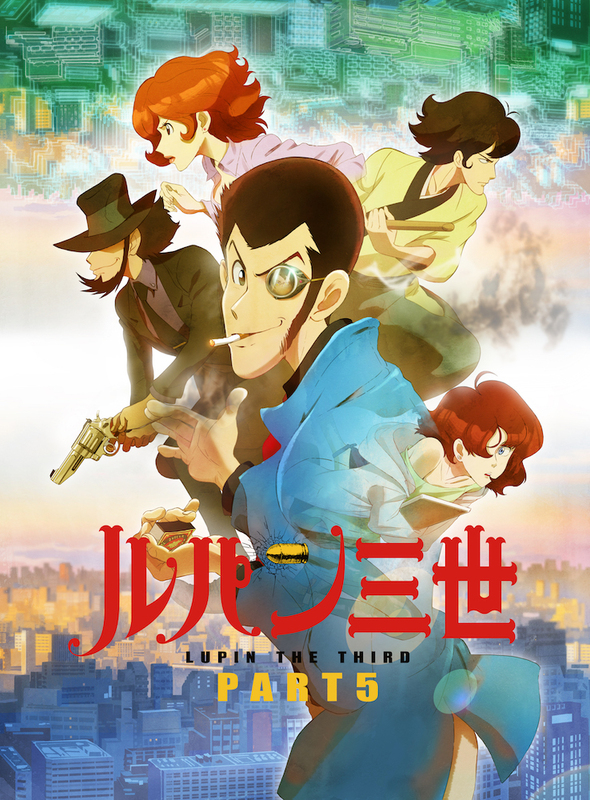 However today we want to share the exciting news that we (Anime Ltd.) have acquired the rights to the next chapter in the franchise, Lupin the 3rd Part 5 and you’ll be able to watch episodes of the new series as it airs in Japan via a simulcast through our good friends at Crunchyroll starting tomorrow (3rd April 2018.) The first episode will launch at 7:30pm (UK) that day! The director and studio of Lupin the 3rd: The Italian Adventure (aka Lupin the 3rd Part IV) return to bring you more daring capers involving the world’s greatest thief and his pals! Synopsis: “Lupin the 3rd Part 5 finds our renowned thief and his associate Daisuke Jigen hiding out in an apartment in modern-day rural France, which provides the backdrop for this latest series. This time around Lupin is drawn into the world of technology via a site on the so-called “dark web” known as Marco Polo – a go-to place for undesirables to purchase illegal items from drugs to firearms. Can Lupin successfully infiltrate a datacenter and carry out a heist to steal digital currency from this virtual realm? You’ll be able to watch new subtitled episodes every week at Crunchyroll.com starting tomorrow (3rd April.) The first episode will launch at 7:30pm (UK)! We hope you’re excited about this, because we sure are! Make sure you check out the first episode on Crunchyroll when it’s available this week! And as we mentioned earlier, we’ll have details about our home video release of Lupin the 3rd: The Italian Adventure (aka Lupin the 3rd Part IV) coming soon. So stay tuned for that info! UPDATED: 2nd April, 5:06pm – Simulcast launch time added. Anime Ltd acquires "Tokyo Ghoul: re"